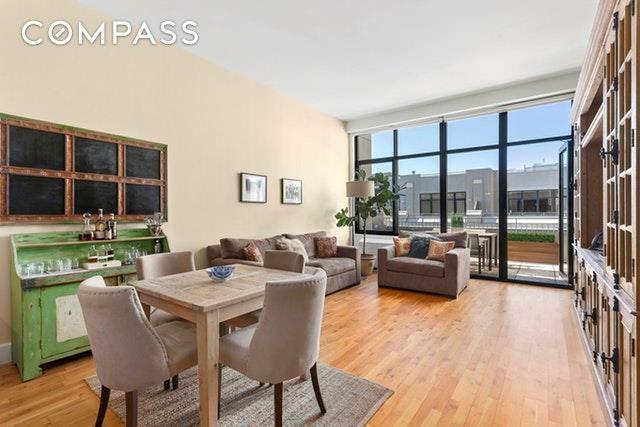 Stunning penthouse luxury loft at One Brooklyn Bridge Park. This beautifully designed western-facing home offers a large open living space with a wonderful 186 sq ft terrace, perfect for entertaining. The terrace is accessible from the living room and the master bedroom flooding both rooms with sunlight. The terrace also comes with a Weber gas grill and features running water and electricity. There's also a sizable home office which often serves as the second bedroom. The master bath features double vanities and sinks with a separate shower and soaking tub. 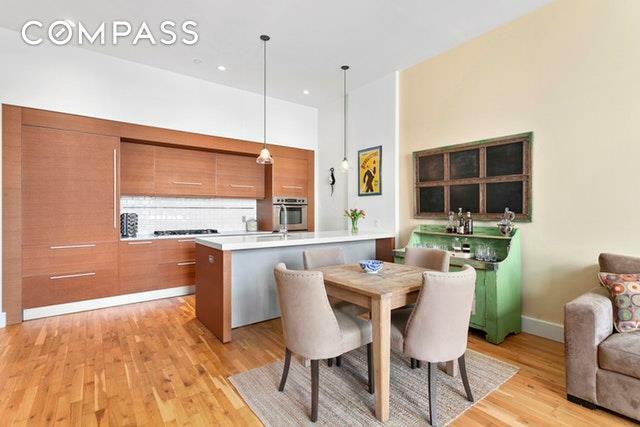 The open chefs' kitchen includes stainless steel appliances from Sub-Zero and Bosch, plus Italian cabinetry by Dada. Penthouse kitchens also include a wine refrigerator, 5-burner stove and double ovens. 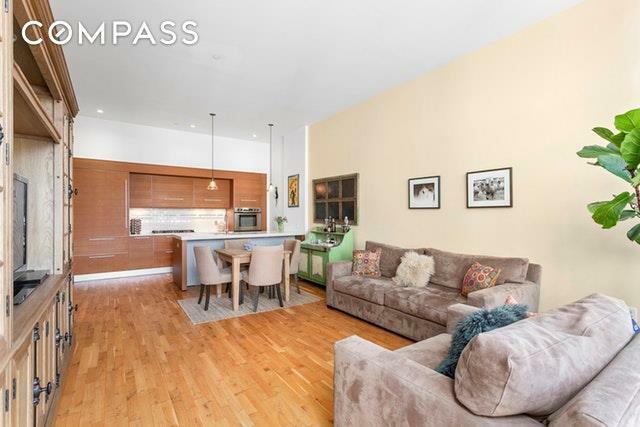 This gorgeous home also has beautiful hardwood floors and 11' ceilings throughout.One Brooklyn Bridge Park is a prewar, full-service, luxury condominium building on the waterfront in Brooklyn Heights. 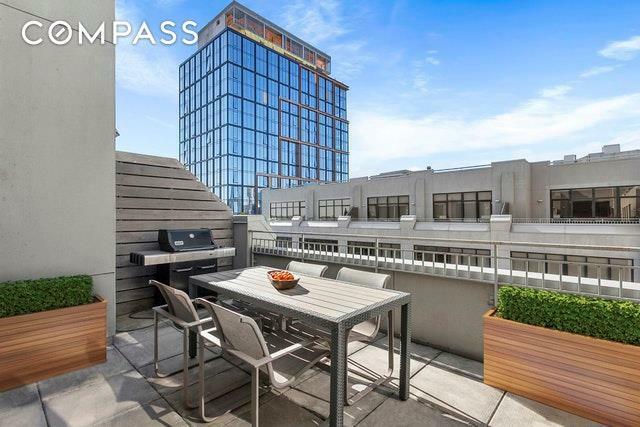 Converted in 2007, this full-service, amenity-laden condominium offers 24-hour doorman/concierge services, refrigerated storage, 2 landscaped terraces, on-site valet, Peloton room, 3,000 square foot fitness center, yoga studio, conference rooms, children's play & art rooms, game & billiards rooms, golf simulator, video lounge, music room with piano & drums, bike rooms and attended garage managed by City Park. With close proximity to the Promenade, shops, restaurants and diverse transportation, One Brooklyn Bridge Park sets the standard for inspired city living. Listing courtesy of Matt Holbein of Compass.